These homeowners stopped by our booth at the Southwest Michigan Home, Garden & Leisure Show in Berrien Springs, Michigan. There wasn’t anything drastically wrong with their existing landscape. 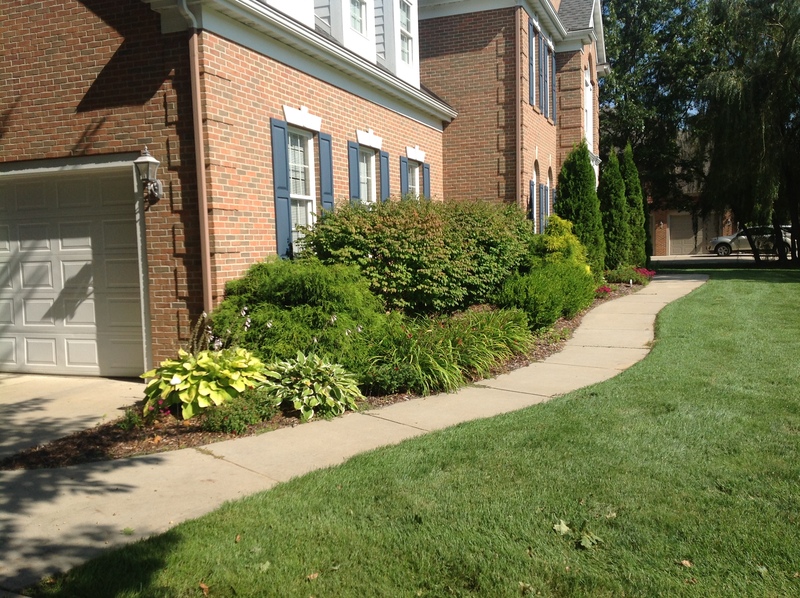 These Stevensville, Michigan homeowners did however have a problem with their entryway, and driveway. They needed their driveway to be just a little bit wider, about 3 feet, and their entryway became very slippery when wet or snow covered, which was a major concern. They also had a lot of deer coming by to snack on their plants, so they wanted a landscape that would be more deer resistant. 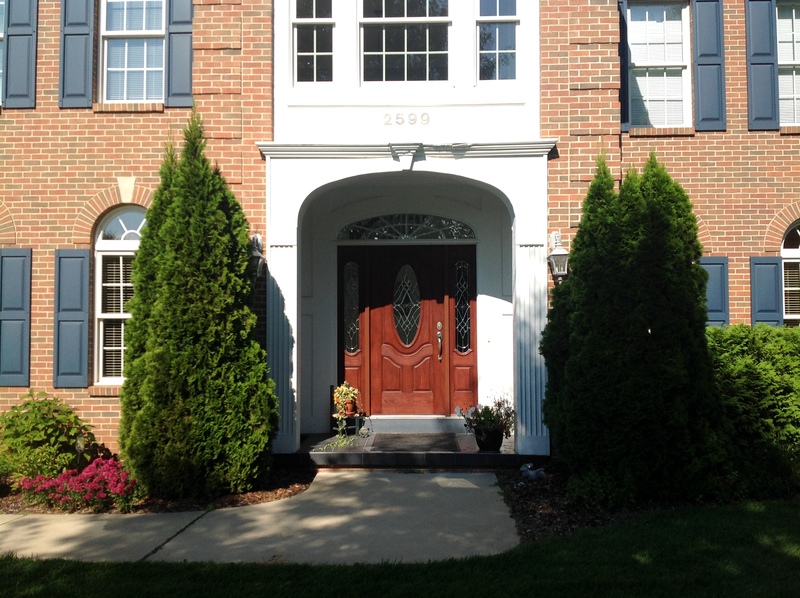 Driveway – These homeowners wanted more space to back out of their driveway, especially in the winter. We added about 3′ of space, 1’6″ on each side, just enough extra space to avoid driving on the grass or into the snowbanks created from plow trucks. Walkway – We redesigned the walkway, so it would be able to accomodate two people walking side by side. We did make the walkway meander a bit more, and also added a circular area in front of the entryway for guests to stop and chat. 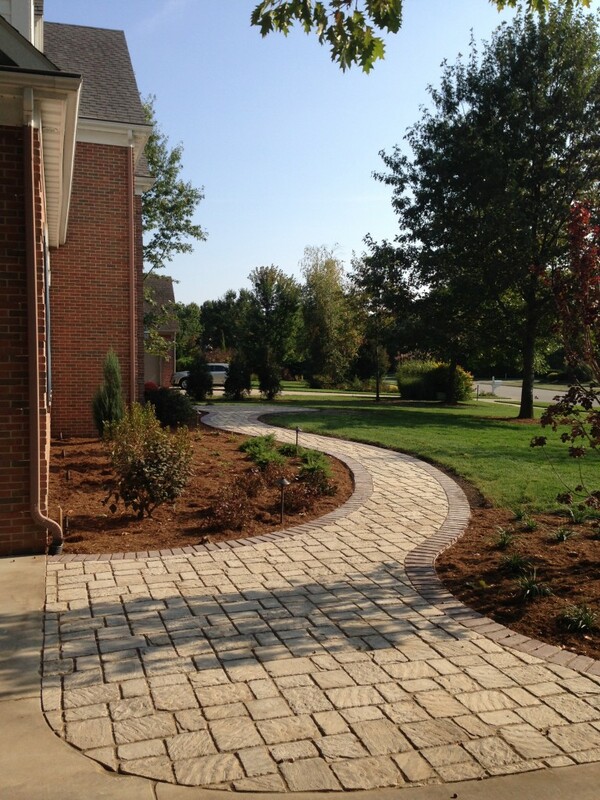 Consistency is important in every landscape, that is why we used the same pavers we used in the driveway, for the walkway. 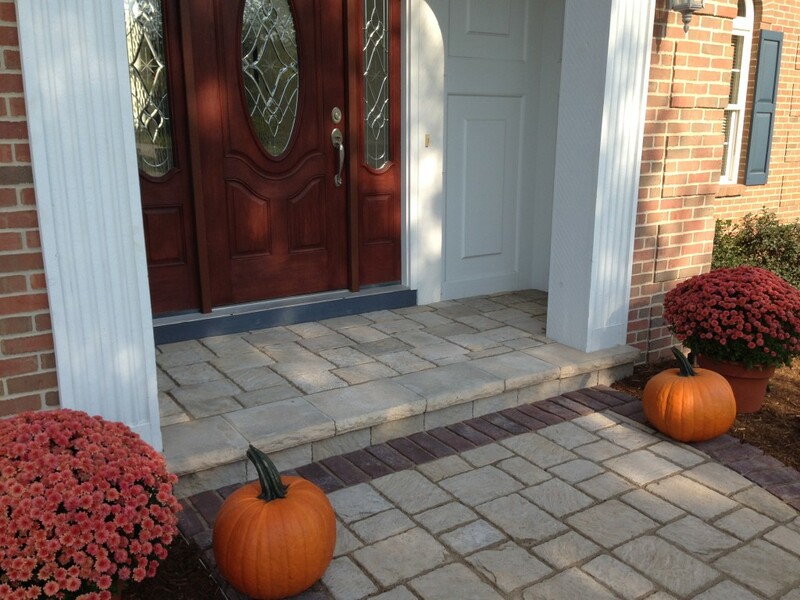 Entryway – We removed the old ceramic tile that was a bit dangerous in winter or rain, and replaced it with the same paver we used for the walkway and driveway. The homeowners will see that the texture in these pavers will make the entryway safer. Lighting – Low voltage landscape lighting was also added. Low voltage landscape light not only makes your home look beautiful at night, but it also is a good security measure. 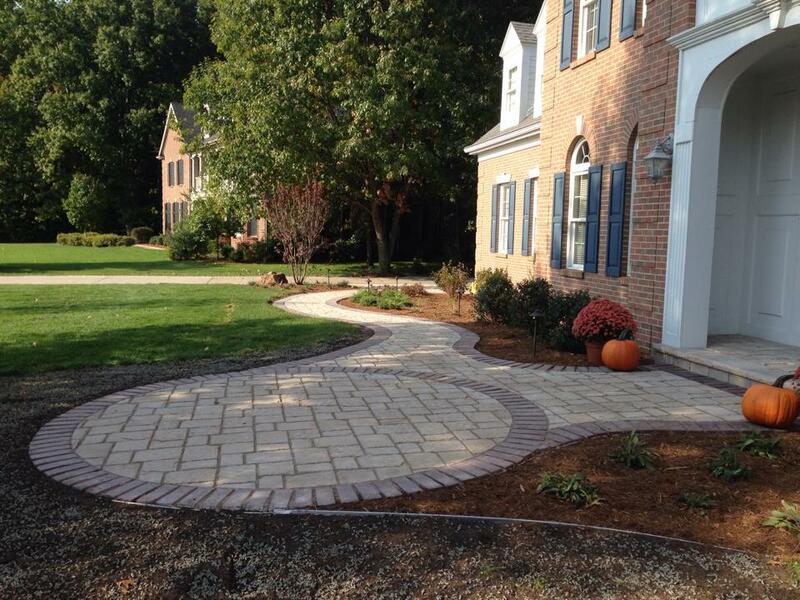 Flagstone Walkway – The homeowners wanted access to the backyard from the front yard. They didn’t want anything formal or complicated, so we added a more rustic flagstone pathway, which also stayed within their budget. Check out the before and after of this Stevensville, Michigan walkway and make sure to check out our other landscape and water feature projects. Are you ready to get your next project started?